Depending on the size of the painful point/area, apply size M or L KUMBRINK CROSSTAPE® directly over the palpable point of pain at the elbow. 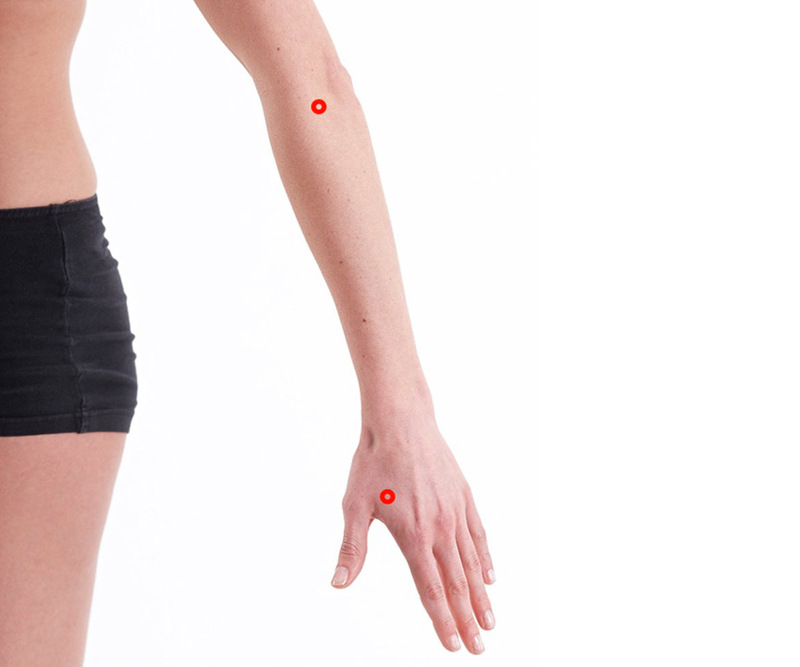 Apply one size M KUMBRINK CROSSTAPE® over the LI-4 acupuncture point of the affected arm. 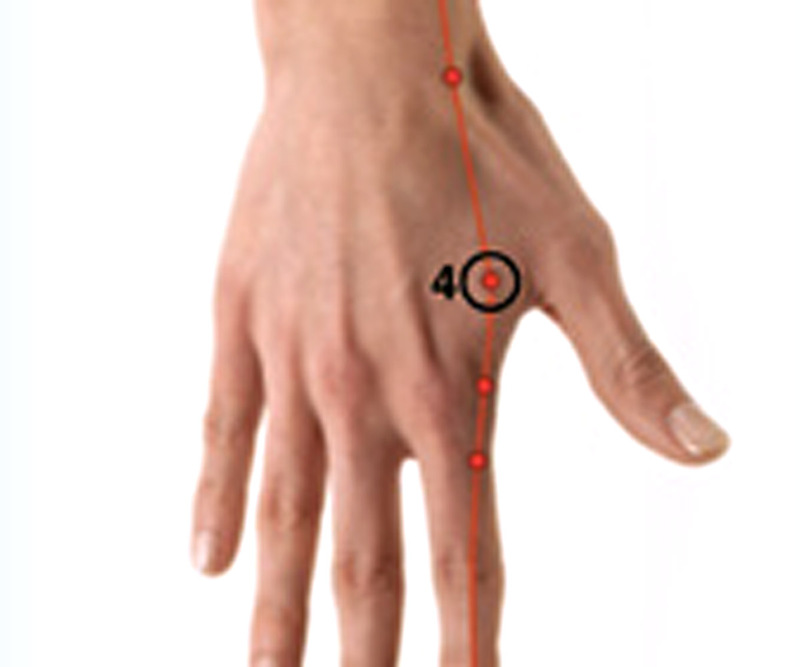 LI-4 can be found between the thumb and the index finger.